A collection of links to RPGs and game supplements, both Indie and Oldschool. A DramaSystem game of drugs, money and magic in the American Southwest. A DayTrippers adventure module for 2-6 players. Rich in SF tropes and interstellar curiosities, this future science adventure will test your players' tactical and problem-solving skills in a dangerous and chaotic environment. An anthology of 16 roleplaying adventures based on "Golden Age" stories by well-known science fiction writers of the 1930s-50s. 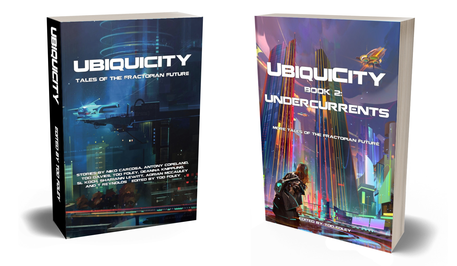 Each adventure comes with three scenarios, allowing them to be easily dropped in to any science fiction roleplaying campaign. The Daytrippers Gamemasters Guide is a toolkit for creating surreal adventures in weird worlds and other dimensions. With this expansion to the DayTrippers Core Rules, the GM takes the players into new and wildly divergent realities every session, blurring the line between subjective and objective reality, and cranking up the weirdness to eleven. DayTrippers is an OSR-style roleplaying game set in a surrealistic science-fiction multiverse, in which an assortment of colorful character classes pilot unique machines into dream worlds and pocket universes to retrieve items of value and bring them back home. The setting was inspired by the surrealistic fiction of Moebius, Moorcock, Rucker, Heinlein and other masters of weirdness. LESS LITTLE is an introductory DayTrippers adventure module for 1-2 players. The tone is dreamlike and humorous with some mildly adult situations, and the plot is firmly guided. Literary-minded players will quickly recognize where they are, although things are not the way they remember from the book. This module is recommended for beginning players and campaigns with a whimsical touch. Shop through this banner and I get a little bit of the money you spend! 1st ed. 1989. Designed and authored by Tod Foley, this complete Role-Playing Game System covers the "Cyberpunk" genre. Includes Game Rules, Campaign World, Sample Characters and Example Adventures. 2nd ed. 1991. Designed and authored by Tod Foley, this complete Role-Playing Game System covers the "Cyberpunk" genre. Includes Game Rules, Campaign World, Sample Characters and Example Adventures. A mysterious continent based on an ancient Egyptian theme. Includes Campaign World and numerous Adventures for the "Shadow World" Role-Playing Game System. This complete Role-Playing Game System and Milieu is an expansion of the popular "Space Master" game. Co-authored by Tod Foley, the boxed set includes a "GM Book", "Player Book" and "Tech Book". Advanced Game System Rules Supplement for the "Space Master" Role-Playing Game System, designed and written by Tod Foley and Terry Amthor. 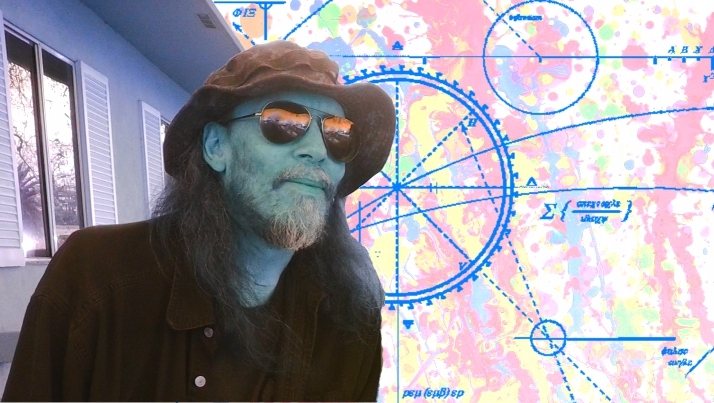 A complex military Sci-Fi Adventure in five episodes, for the "Space Master" Role-Playing Game System. A collection of short, self-contained Sci-Fi Adventures for the "Space Master" Role-Playing Game System. 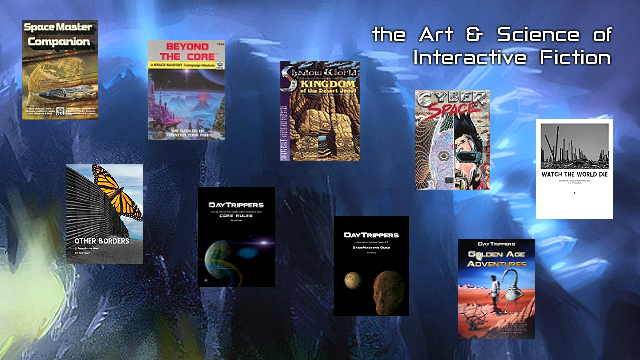 A collection of self-contained Sci-Fi Adventures for the "Space Master" Role-Playing Game System. "The hybrid or the meeting of two media is a moment of truth and revelation from which new form is born." Harry Vince (not verified) - 28 June 2010 - 5:03am. aip - 28 June 2010 - 2:32pm. Over the years I have found all of these books at Amazon, at one time or another. Check it out. You can also try eBay, if anyone is willing to give up their copies! Uche (not verified) - 22 April 2013 - 6:26pm.